Nelvana Enterprises has added five softline partners to its growing list of licensees for new preschool property Little Charmers. 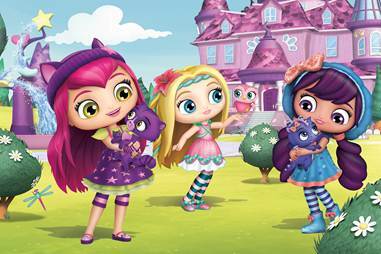 Corus Entertainment’s Nelvana Enterprises has added five US softline partners to its growing list of licensees for new preschool property Little Charmers. New licensees include The Bentex Group (master apparel), SG Companies (footwear), Franco Manufacturing (juvenile bedding/bath), Accessory Innovations (backpacks/bags) and Fantasia Accessories (jewelry, headwear, rainwear, hand wear, hair accessories). Nelvana’s newest partners join top-tier licensees already on-board across several key categories including Scholastic (global English-language publishing), Rubie’s Costume Company (Halloween costumes), Baby Boom Consumer Products (toddler bedding/bath) and Bakery Crafts (cake décor). 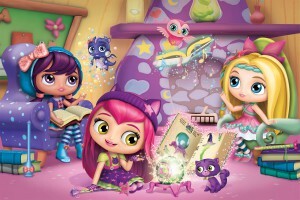 Property co-creator and corresponding TV series co-producer Spin Master holds master toy rights and will launch a toy line (figurines, plush, dolls, role play) aimed at two- to five-year-olds this fall at mass retail in the US. 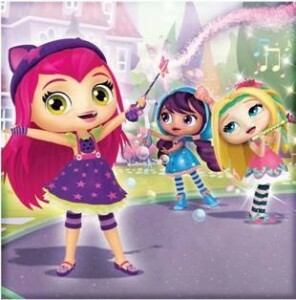 The 80 x 11-minute Little Charmers launched on Nickelodeon in the US and Treehouse in Canada this winter, and Nickelodeon will roll it out across its European channels later this year and into early 2016.